When I think back to the beginning of my first semester of college, The Gator Run always comes to mind. 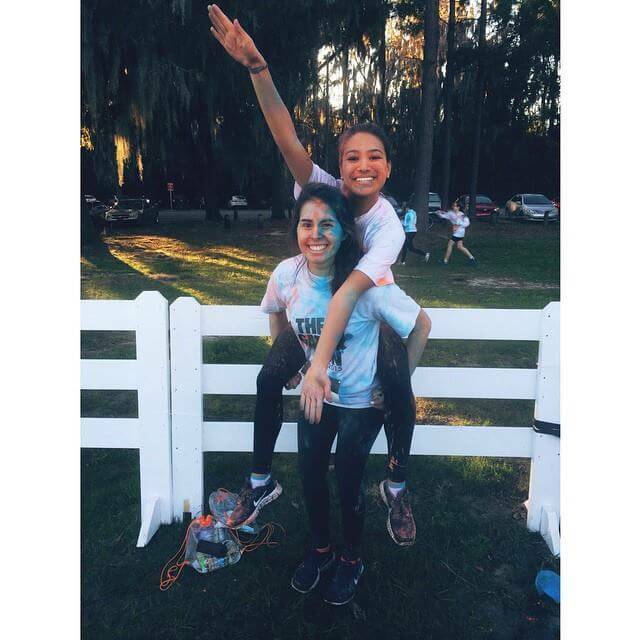 The University of Florida holds a few 5k runs throughout the year, but The Gator Run is always the biggest. I remember mentioning it to my roommate who was more than excited to sign up right away. While I, on the other hand, was pretty reluctant at first. I’ve never been a fan of exercising, so running 5 kilometers wasn’t my idea of a fun time. But I figured, what the hell? It was my first semester of college. Wasn’t this the time to try things out of my comfort zone? Wasn’t this the time to push myself to experience new things? I grabbed my laptop and registered online quickly before I could convince myself that I’d be better off binge watching Netflix all day. Not long after, my roommate had this grand idea of us spending the few weeks before the run training at the gym and, oddly enough, I agreed with her. But as you could probably guess, that didn’t last longer than two gym sessions, seeing that I valued finishing the entire One Tree Hill series on Netflix in my free time more than running. Before I knew it, the 5k was upon us. Despite my lack of training, I was pumped. I couldn’t help but feel the adrenaline rush through me as I waited in line to get my number. As I walked past the entrance table, I was greeted with a Dominos booth handing out free pizza. According to my roommate, only a crazy person would think to eat pizza before a run. Little did she know, she was living with that so-called crazy person. Being the foodie I am, I couldn’t help myself. I ate the pizza. I mean, who turns down free pizza? Now that was unheard of. I started the run alongside my roommate with a causal jog. The afternoon breeze felt nice and I was glad I hadn’t backed out. Within in a few minutes my roommate’s casual jog turned into a legitimate Olympic style run. Meanwhile, I maintained my jog regardless of her and everyone else passing me. I just attributed it to their long legs. If we’re being honest, people with longer legs really do have an advantage. It wasn’t long before my roommate had run out of sight and I was jogging on my own. But with the hundreds of other students, families and even alumni all around me, I didn’t feel the least bit alone. It was a feeling I hadn’t felt before: being comfortable in a huge crowd of strangers. It was in this moment that I knew college was going to be a great experience; everyone was rooting for each other and school spirit ran rampant as orange and blue dust was being thrown at us at various checkpoints. Soon enough, I made friends with a few girls who decided to turn The Gator Run into The Gator Walk. It was nice to know that I wasn’t the only one who didn’t realize what they had gotten into when they signed up. Once I felt my stomach fully digest the pizza from earlier, I convinced myself that I wasn’t too out of shape and I couldn’t let myself walk the entire way. So I bid my new friends farewell and picked up the pace as they cheered me on. At the same time, another girl decided to start running again, too. We jogged together and shared stories on how both of the people we came with ran ahead and left us behind. It was reassuring to know that in a university filled with thousands of students, I was able to feel welcomed by just one stranger. Not to mention running felt surprisingly good. Feeling my feet hit the pavement with every stride was empowering. I felt like at any moment I would hit the gravel and transcend into the air. Okay, maybe it wasn’t that empowering, but the feeling was definitely there. I did have to slow down and take breaks every now and then, but as I finished the race and ran under the school spirited balloon arch, I spotted my roommate standing there shouting my name. I had done it, and I wasn’t in last place! I was proud of myself and could officially say that I completed my first 5k. Being in a crowd full of my fellow Gators let me feel like a part of something bigger than myself. And if self-pride and bragging rights weren’t enough, there was even more pizza to celebrate with afterward.